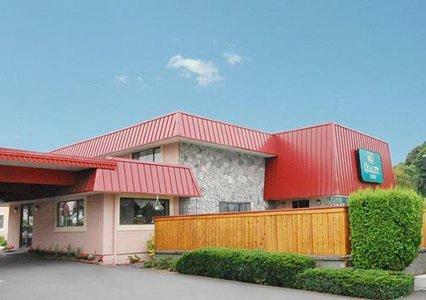 The Quality Inn & Suites® hotel is conveniently located within walking distance from Saint Martin's University. Cabela's is one and one-half miles north of the hotel and Joint Base Lewis-McChord is easily accessed. This Lacey, WA hotel is close to Evergreen State College, the South Puget Sound Community College, Joint Base Lewis-McChord, the Washington State Capitol Campus, Puget Sound, Cabela's, Lucky Eagle Casino, Red Wind Casino and Little Creek Casino. Mount Rainier National Park is 88 miles and Mount St. Helens National Volcanic Monument is 77 miles from the hotel. The Olympia Regional Airport is eight miles away. Several shopping opportunities are close to the hotel for guest enjoyment. A variety of restaurants and cocktail lounges can be found in the surrounding area. 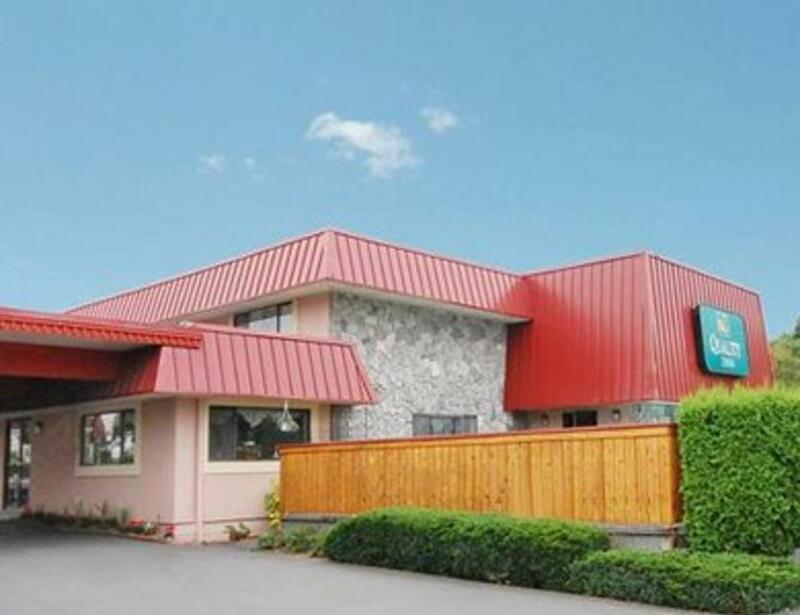 Guests of this Lacey, WA hotel will enjoy the free full breakfast, featuring a wide assortment of baked goods, cereals, juices, coffee, hot Belgian waffles and biscuits and gravy. Business travelers will appreciate conveniences like free high-speed internet access, a business center and access to copy and fax services. There is also a meeting room with 400 square feet of space available for guest convenience. All spacious guest rooms come equipped with 32-inch flat-screen LCD televisions with full cable including HBO, refrigerators, microwaves, coffee makers, hair dryers, irons and ironing boards. Some rooms feature whirlpool bathtubs. This is a pet-friendly hotel. Coin-operated guest laundry facilities are located on the property.